Dr. Morse is a highly acclaimed figure in the field of public health with more than 45 years of professional excellence in his areas of expertise. Currently a professor at the Mailman School of Public Health at Columbia University since 2008, he has simultaneously served as an adjunct faculty member at the Rockefeller University since 1996. 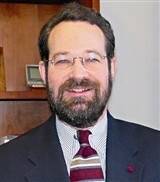 Commencing his career as a researcher in viruses and bacteria, he formerly served the University of Wisconsin-Madison in the department of bacteriology in the early 1970s and later acted as a research fellow at the National Cancer Institute at Virginia Commonwealth University in the late 1970s. Alongside his professional endeavors, Dr. Morse has worked on the National Science Advisory Board for Biosecurity since 2014 and the Standing Committee on Health Threats, Resilience, and Workforce Resilience with the Institute of Medicine and National Academy of Sciences since 2013. In addition, he is on the standing committee in the U.S. Department of Defense’s Biodefense Programs, a position he has held since 2012. A prolific writer in his field, Dr. Morse has acted as an author and editor of a number of publications since the early 1990s. He was the author of “Emerging Viruses” in 1993 and “Evolutionary Biology of Viruses” in 1994. In addition, he has served as a section editor for emerging infectious diseases for the Center for Disease Control and Prevention Journal, editor-in-chief of the Virology Journal, and on the editorial board of Emerging Infectious Diseases, EcoHealth, Biosecurity, and Bioterrorism, Viral Immunology, and Emerging Health Threats Journal, the latter of which he has been serving since 2013. A respected leader in his industry, Dr. Morse has maintained affiliation with several professional organizations. The vice chair and chair of the microbiology section of the New York Academy of Sciences from 1994 to 1998, he is a fellow of the American Association for the Advancement of Science, the New York Academy of Medicine, the American College of Epidemiology, the New York Academy of Sciences, and the American Society for Microbiology. He is additionally associated with the Marine Biological Laboratory, the American Association of Immunologists, the Council on Foreign Relations, the Cosmos Club, and Sigma Xi. Dr. Morse sought formal education in preparation for his career, first obtaining a Bachelor of Science from the City College of New York in 1971. He then studies at the University of Wisconsin-Madison, completing a Master of Science in 1974, subsequently earning a Doctor of Philosophy from the school in 1977. In recognition of his exceptional contributions to public health, he has been named among the Top 100 Scientists of the Century. In addition, he has been named a Lifetime Achiever by Marquis Who’s Who and has been featured in several editions of Who’s Who in Finance and Business, Who’s Who in Finance and Industry, Who’s Who in America, Who’s Who in American Education, Who’s Who in Medicine and Healthcare, Who’s Who in Science and Engineering, Who’s Who in the East, and Who’s Who in the World.